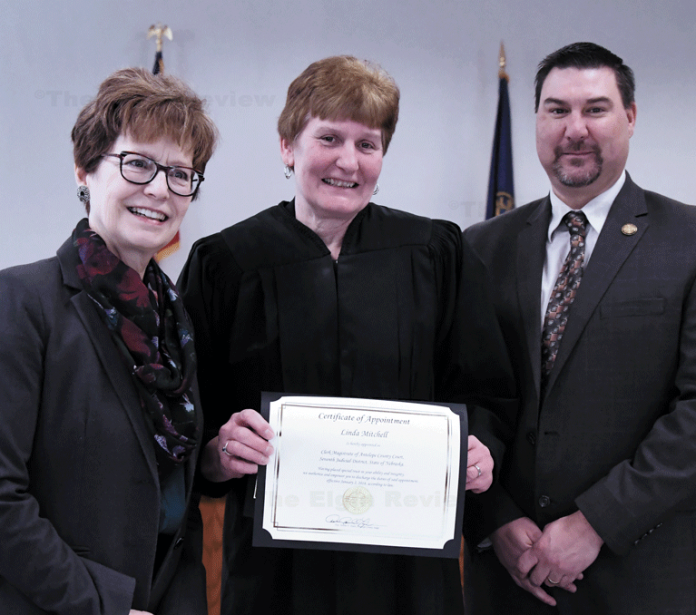 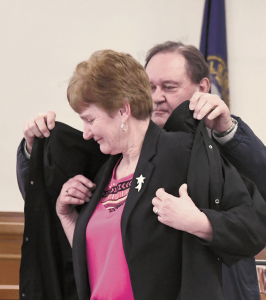 Friends, family and colleagues gathered Tuesday afternoon in the Antelope County courtroom to witness and celebrate the investiture ceremony for Linda Mitchell of Elgin. 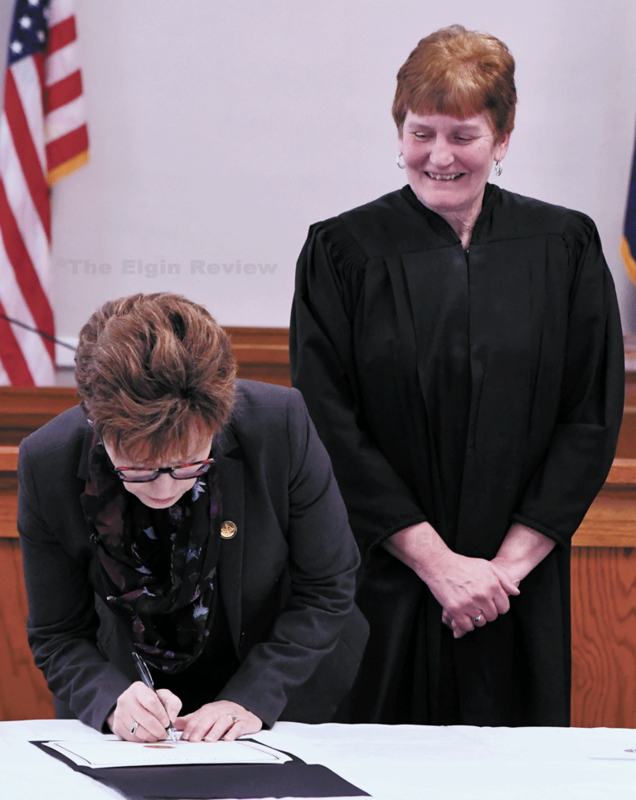 Mitchell was recently hired to serve as the Clerk Magistrate, Antelope County Court, Seventh Judicial District. Judge Donna Taylor swore in Mitchell. Also making remarks was Corey Steel, State Court Administrator. 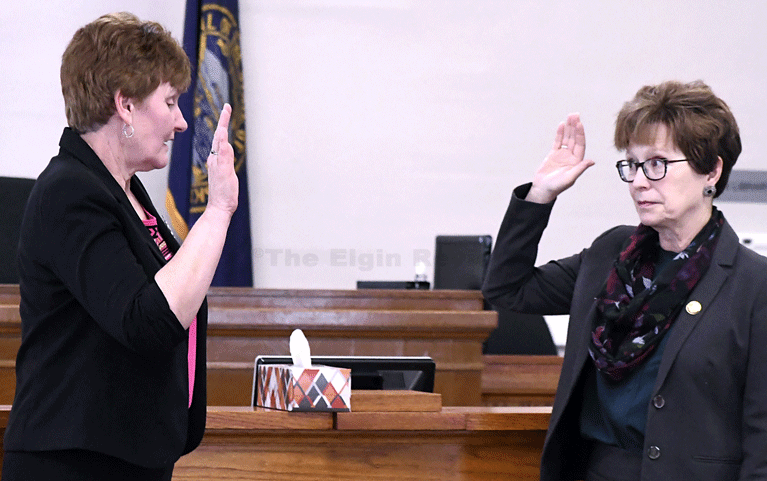 Mitchell replaces Barb Finn, who retired at the end of December. Those attending joined in a reception with refreshments and wished Mitchell well in her new role at the courthouse.